With inventive fruit and vegetable wines and more than 200 grapevines planted, New Hampshire's family-owned Zorvino Vineyards has a wine to suit every taste. 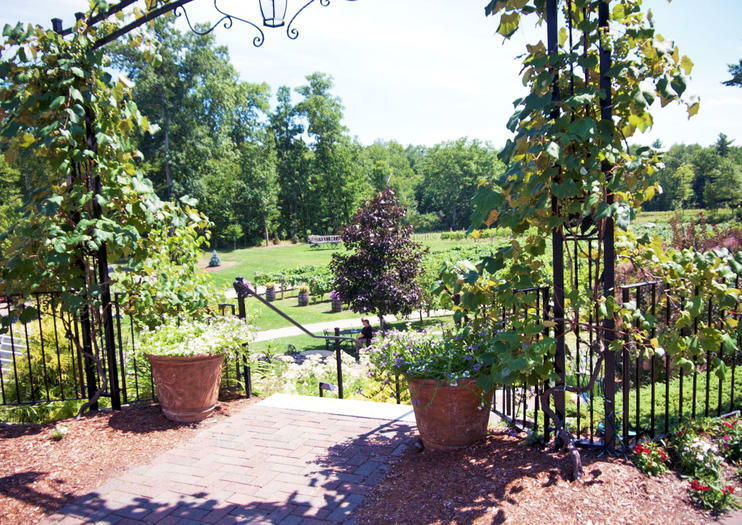 The countryside vineyard specializes in reds, whites, blends, and dessert wines made from specialty fruits, such as pears, plums, blueberries, cherries, and mangoes. Some wines are finished with maple syrup, and most vary by season, including vegetable wines like pumpkin, beet, and rhubarb. Adorned with woodwork and a beautiful barn, the rustic winery and its surrounding 80 acres of New England forest create an idyllic background for bocce ball games in the garden and wine tasting outdoors. Go behind-the-scenes of your favorite Zorvino wine on a tour of the facilities, with samples—or make a whole day out of New Hampshire's most indulgent foods with a chocolate, wine, and lobster day tour of the area. Zorvino Vineyards is located in southern New Hampshire in Sandown, about 30 minutes driving from Manchester. There are daily wine tastings from 11am to 5pm for $3 per person. Reservations are required for groups of 8 or more.